Overshadowed by the continuing debate over the government shutdown is the apparent fate of legislative protection of companies responsible for genetically modified organisms (“GMO”). In March of this year, a last-minute clause added to a government funding bill created a furor by protecting GMO companies, like Monsanto, from responsibility for any harm arising from their GMO products. As it now stands, the “Monsanto Protection Act,” as it came to be called, will expire in the middle of December. The latest round of discussions in the Senate aimed at averting a government shutdown did not include any version of the “Monsanto” provisions. Senator Jeff Merkley (D-Oregon) had lobbied forcefully against the GMO loopholes. The Monsanto Protection Act would have prevented the Secretary of Agriculture from taking any action to prevent harm from genetically modified organism crops, even when there was evidence of harm. GMO seeds and crops have been linked to environmental and human health concerns, as well as threatening existing non-GMO crops that may be planted in proximity to GMO products. 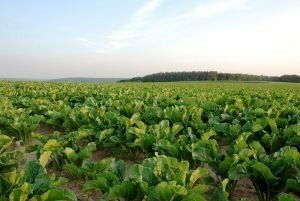 In August of 2013, the journal Nature published a story that showed GMO crops can pass their genetic modification to weeds growing with or near the GMO crops. When this occurs, the weeds become resistant to herbicide, reducing crop yield. Monsanto is the largest seed company in the world. In the 1990s, it began testing a GMO strain of wheat called MON 71800. Tested between 1998 and 2005 by Monsanto, the product was never marketed in the United States. Farmers were concerned about the risk of foreign markets refusing U.S. wheat shipments due to stricter foreign regulations. Despite these events, a strain of genetically modified wheat was found this year growing on a farm in Oregon. After testing, the wheat was identified as MON 71800. As a result, Japan suspended its import of American wheat. The source of the GMO wheat in Oregon is unknown at this time, but Monsanto has alleged that its presence was the result of sabotage. Monsanto also manufactures the weed killer Round-up, which, along with its GMO Round-up resistant seeds, accounts for approximately half of Monsanto’s business. Thornton Law Firm has represented consumers and governments affected by toxic and environmental harm for 40 years. The firm’s lawyers have fought the tobacco, lead paint, asbestos, chemical, and pharmaceutical industries successfully on behalf of individual and class clients. If you have questions about your legal rights, call Thornton Law Firm at 888-491-9726 today and a lawyer will be happy to speak with you and answer your questions.